The midfielder has been with the Blaugrana for the past four-and-a-half seasons and during his period, he has managed over 250 appearances for the club in La Liga alone. Despite this, there have recently been suggestions that Rakitic could move on with the summer arrival of Frenkie de Jong from Ajax but AS claims that simply won't be the case. The midfielder has remained a regular under the guidance of Ernesto Valverde this campaign and it is understood that the Blaugrana may offer him a fresh deal on the insistence of their head coach. Earlier this year, Valverde committed his future to Barcelona for the 2019/20 season. 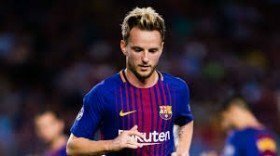 In that agreement, he is said to have demanded the assurance that Rakitic would remain unsold for the forthcoming campaign regardless of fresh arrivals.